Download Free Katherine Blogger Template is a premium looking and professionally designed magazine blogger theme. Katherine is a Blogger Theme 2019. Advanced Theme Options in this theme helps in easily customizing the whole theme features from changing the Sliders (Slider1, Slider2, Slider3). You can customize this beautiful blogger theme 2019 from the Theme Options given in the Layout section. Infinite Scrolling features has also added in this theme, you can turn it ON or OFF. You can activate or deactivate the Preloader in the theme and you can do many more things with this amazing free blogger theme. 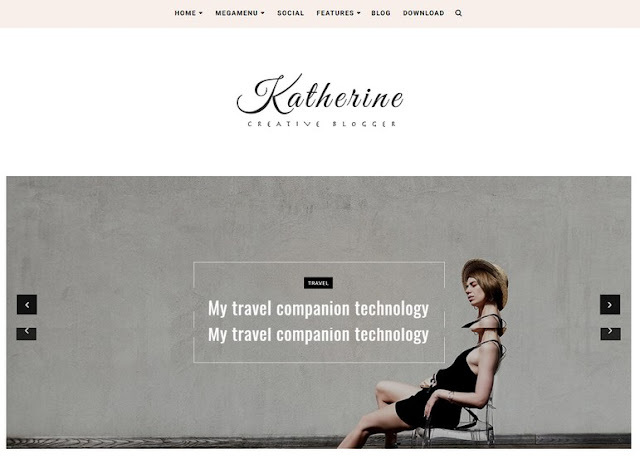 Download Free Katherine Blogger Template is a premium looking and professionally designed magazine blogger theme.